The concept of “platform” has been around for awhile now. – most writers continue to struggle. In this post, we are going to knock down some of your biggest stumbling blocks, so that you can move past these frustrations, achieve traction and momentum in your writing career and finally get your book into the hands of your readers. What’s your #1 single biggest book marketing or platform building challenge right now? My goal is to help authors feel empowered to build and evolve their platforms – not fearful or discouraged. Let’s take a deeper look at each of these challenges and outline some actionable steps that you can start implementing immediately to make a real difference in your platform building and book marketing efforts. This is a pervasive problem, and one that is closely tied with the issue of discoverability and exposure. Ensuring your writing finds an audience is goal one, and therefore not securing your ideal reader’s interest, attention and appreciation is ultimately a deal breaker. No readers equals no career, so finding a solution to this roadblock is paramount. all stem from not knowing exactly who it is you’re trying to reach (and why it is that they should care if you do). When you’re crystal clear on your readers’ needs, desires and interests, all of these questions become much easier to answer. When you know your audience well enough, what to share (and how to share it) becomes obvious. These are people that you will interact with on a daily basis, so make sure your “club” is filled with people you will actually enjoy hanging out with, and whose interests and values align with the creative work that you offer. Define exactly who it is you wish to reach or serve. Make a list of comparable books and authors in your topic or genre. What do their audiences look like? Who else is reaching your potential target audience (bloggers, magazines, organizations, industry influencers)? What mediums are they using to do so? Note relevant demographics (age, gender, income level, education, marital status) as well as psychographics (personality, hobbies, interests, values, lifestyle). Follow industry news and trends. Spend some time “listening” on blogs, forums and Facebook groups. What are these readers searching for that they’re not finding? Or what do they want more of? Set up and interpret your Google Analytics results. What people do (or don’t do) on your website or blog can give you more insights. Look at sources of social media audience demographics to discover the platforms that “fit” you and your writing best. Create your ideal reader persona. Dive deep into the needs, wants, interests and desires of your ideal readers. See the world through your readers’ eyes. Learn to vividly describe their problem or desire. Ask more questions via surveys, social media and your email list. Offer one-on-one or small group Q and A sessions via Skype or a Google Hangout. Conduct keyword research (look at Google’s “related” search terms, Google Analytics and closely related niches or genres). What are the words, emotions and beliefs that are being expressed by your ideal reader? Use their own words when writing content for emails, blog posts and social media updates. How are other authors and influencers “speaking” to their readers? Note what works and what doesn’t. To define your audience in a meaningful way, you must get really specific about the people you are making something for, and develop a true understanding of their needs. Marketing experts are not being cryptic or secretive on purpose. If there was a one-size-fits-all book marketing or platform building plan of action that would fit the needs of all fiction or nonfiction authors, it might be pricey, but it would be offered. But just as there is no “one way” to produce a hit song, make a blockbuster movie or turn a small “garage” startup up into a thriving, six figure business, so it is for building a successful writing career. There are many ways to get there – and many ways to fail, as well. Trying to do it all yourself. Instead, get some trusted advice and consider outsourcing some of the more basic tasks or those that require a skill set you don’t have. A scattered “maybe this’ll work” approach. Half-heatedly trying a smattering of strategies without understanding the “why” behind any of them, rarely works. And even if you start seeing results, you have no way of knowing what’s working (so you can do more of it). Assuming the results are because of the tool, not the implementation. Does using the same golf club as your favourite PGA pro make you a scratch golfer? Probably not. It’s not the tool (your blog, email list, social media platform, etc. ), but the time, effort and intention behind it that delivers results. Looking for the quick fix or shortcut. Don’t expect instant profit or superstardom. And don’t fall for empty promises. A writing career takes A LOT OF WORK. Look for long term growth strategies, and know that relationships take time to develop. Not taking a holistic view. You are responsible for both the creative side and the business side of your career. Neither can be ignored. It’s easy to overcomplicate things, but the most important aspect to building an author platform isn’t the tasks you perform, but the engagement you garner. All the planning, tools and techniques in the world won’t help you if you fail to keep this basic principle in mind. However, there are certain foundational elements that – when executed well – strengthen and reinforce the strategies and designs that come after. Each author must develop his or her own unique marketing path. But to avoid information overload, start with a basic business plan that addresses each of the points above. As you learn more about the genre you are entering, other authors in your niche, your target market, marketing and audience building techniques, and current trends – add more detail to your plan. How do you build a following when you don’t (yet) have a book to promote? What do you do to build your brand and following if you’re starting from scratch, have zero contacts or credentials, and are unpublished (or have only one book to promote)? It’s a bit of a shortcoming in your book marketing plan to not actually have a book to sell, no? But, here’s the thing: your platform is about connection, not selling. And it’s the relationship that you build with each reader that is the real asset. It’s time to reframe your thoughts on platform, marketing and self-promotion. At the core, you are simply finding ways to engage with people who are most inclined to love and rally around your work. Visibility, influence and book sales come after you’ve taken the time to build this affinity and rapport with a community of like-minded individuals. Which means, having only one, or even no books published yet is somewhat irrelevant. It may not seem like it, but there are advantages to being the new kid. You have access to the wisdom (as well as the cautionary tales) of writers who’ve traversed this path before you. And by having this info early in your career, you might be able to accomplish in months what it’s taken others years to build. Be useful, genuine and relevant. When writers ask, “What do I write about or share if my book isn’t out yet?”, the implication is that once their book is out, all they’ll write about is the book. Ideally, the only difference once your book is out is that there will be a sprinkling of promotional content added to the mix of relevant, useful and intriguing content you’ve already been sharing. Share your worth. You have value, and what you do matters. Practice selling your value now – to yourself and to others. Know what you can bring to the table, and own it. Your platform is where you can start building the relationships, the authority, the testimonials and even the “numbers” that endorse the quality of your work. It’s not about proving your credibility, it’s about earning it. Everybody starts at zero, so if you don’t have any achievements to showcase, stop fretting and start writing. Look for guest posting opportunities, post on your own author blog and consider freelancing gigs. Other opportunities like speaking and podcasting can also give you a way to add to your resume. Failure is not fatal. Dr. Seuss’ first book was rejected by 27 publishers – he has since become a world renowned children’s author, whose books have sold over 600 million copies. It may take more than a few tries to get things right, but you’ll get there. Allow yourself the time to be inexperienced. Don’t be discouraged by what other writers have accomplished. Instead, view them as examples of what’s possible for your own writing career. Whether you realize it or not, your daily schedule reflects your priorities and values. If writing time is non-existent or is continuously relegated to next month’s to-do list, it’s easy to see where your writing career ranks in terms of importance. Many of the emails I receive have writers speaking of their work in terms of a guilty pleasure – it’s something they allow themselves only after day jobs, family time and other obligations have been met. Yet ironically, these same writers are also VERY passionate about the work they hope to create, and how important it is to get their book out into the world. So there is a deeper issue. Something is holding you back, and it isn’t really a lack of time, money or resources. Being “too busy” or being “broke” has never stopped anyone who’s truly dedicated from achieving their goal. It may be assumptions you’re making (consciously or unconsciously) about your worth and value. It may be a fear of failure, a fear of success, or of just not being good enough. Whatever your self-limiting beliefs, they become your reality. To remove this roadblock, a change in mindset is a must. When looking at “costs”, keep in mind the very high cost of doing nothing. Shift your priorities. Half the battle is recognizing your own worth as a writer. It’s very hard to convince someone else that your work is worthy (of their time, interest and money) if you don’t believe it yourself. Your work is worth it. Commit to it. Then give it the time in your schedule that it deserves and don’t allow resource constraints to keep you from what you really want. Change your patterns. Evaluate how you’re spending your minutes, hours, and days. Determine if your current schedule accurately reflects your priorities and what you value most. Make sure what you do actually fits with who you want to be. Skip the negativity (you CAN do this), and do the work. Earn your right to be here, and assume responsibility for getting your work out there. Change your environment. This includes your circle of influence. Find positive and proactive people to surround yourself with. Look for mentors, friends and partners that elevate you, not pull you down. Switch up your work space and learn where (or what) inspires and motivates you. When you look up from your keyboard, what do you see? Your beautiful back yard? A vision board? Your family’s smiling faces, or your well-worn copy of Bird by Bird: Some Instructions on Writing and Life, by Anne Lamott? Think long term. Compare the cost per year to build your writing career vs. the potential income and reward of having others experience your writing. Remember, you are building a business. And very few have such potential with so little overhead. Yes, you may have to scrape together some initial startup money and resources, but you are investing in a creative business that may well pay big dividends in the future – intellectually, psychologically, emotionally and spiritually. Create efficiencies. Budget your time, just like any other resource. Even highly creative people need a bit of structure, so block out time for specific tasks (with a definitive start and end time) and be sure to include some “me” time that allows you to rejuvenate and refill the creative tanks. Spending your time effectively can actually save you money and even earn you more revenue. Outsourcing basic tasks (or those that are outside your skill set), and investing in specific training or courses, can also end up saving you money in the long run. We each have different backgrounds, strengths and resources to tap, so use your creativity to find ways to get things done even when money and time are tight. It’s the small, slight changes that eventually change the game, so you’ll need to decide: how bad do you want it? There are many benefits to creating a robust and enduring community: continued support, helpful feedback and a catalyst for inspiration and motivation. It’s like having a veritable army of marketers and promoters, singing your praises and spreading energy and excitement about you and your work. But, your platform is only truly successful if it provides a way for you to connect and engage with your readers. Only those who have managed to find a way to align what they have to offer, with what their particular audience desires, see the real advantage of a platform. They’ve earned a strong relationship with their audience, and reap the benefits of that trust and connection (in the form of sales, buzz, and so on). Your job is not to sell, but to help your readers get what they desire. There are two requirements that MUST be in place in order to build a responsive and thriving community: you must know exactly what you wish to share, and with whom you wish to share it. Without knowing these two things, it’s not likely that you will attract a following. It’s impossible to build a strong relationship with somebody you know nothing about. And it’s impossible to share your “why” with people, if you haven’t figured out what it is. So learn what your readers want, the words they use to ask for it, and even where they go to find it. Then clarify your purpose and passion, your triumphs and your vulnerabilities, and why it is you write what you write. Make sure your readers know how you can help them. Share your “brand story”. Have a clear focus, and make it very obvious to your reader what they get by spending time with you (what’s in it for them). Show your personality, be transparent and make sure that “Buy my book!” isn’t the first thing they hear from you. Engage one-on-one. Words like “subscribers”, “list”, “followers” or “audience” all make you think of a large, faceless mass that’s difficult to communicate with. Think of one person only and write that email, post or social media update, just for them. Make them feel special. Ask questions, respond to comments, encourage feedback and facilitate discussions. Address and satisfy their needs. Pay attention to, highlight and reward your “superfans”. Give them a reason to come back again and again. Let fans contribute, hold Q&A sessions, and allow your readers to vote on a decision you need to make. Be both exclusive and inclusive. Be clear about who your community is for – and who it is not. Make it super easy and enticing for your ideal fan to join (subscribe), and make them feel like they are part of something special. Let members of your burgeoning community take ownership of what they helped create, and help you share it with the world. Create and promote exceptional and relevant content. Don’t skimp here. Publish content that is so good, your readers can’t help but want to share it. Publish different types of content (video, podcasts, interviews), and make your life easier by repurposing great content. Contribute to other blogs, forums and social media, as well as share links to other blogs and articles. Inform, educate, advise and even challenge your readers. Experiment. Continue to improve. Start conversations that move into meaningful relationships. Figure out where people are uncomfortable; what they’re searching for that they’re not finding. Look for more creative ways to share your unique, valuable insights – insights that can only come from you. Strive to make it easy for people to engage (ask for a reply to your email, run a survey, add Click to Tweets in posts). Give them reasons to pay attention. Building a career as a writer is no small task. It requires consistent effort, commitment and a fair amount of strategy to pull off. Throwing up a free website and tweeting about your book from time to time is not going to bring you the results you desire. But, if you make the time – and put forth the effort your writing deserves – you will begin to reap the rewards that a thriving, supportive community and robust platform provides. Questions? Any challenges that I missed in this post that you’re struggling with right now? Go ahead and share them in the comments section below. I like your point that it isn’t all bad being the new kid. What’s so great about this community is that authors who have been there before are willing to help the “newbies” out. There is so much great, free information out there and it’s in the best interest of a new author to read up as much as possible. Thanks for this thorough explanation, Kimberley. A post worth reading! There’s a lot here which is really useful, for which many thanks. I would add that for those of us trying to break into the fantasy market there are the conventions. Living in the UK I would kill for the chance to attend the conventions which US writers have access to, because they provide such a great opportunity to meet fellow fans and make those all important connections – and I read a lot about middle-ranking writers who rate them as vital to building their reader base. However, for me the news isn’t so good, because we just don’t have those sorts of conventions on this side of the Atlantic. The rare handful of ones over here are very tied in with movies/TV series, and work around meeting actors etc, not books. The only alternatives are the comic conventions, and again they don’t help the conventional writer at all (although a friend of mine is doing great business going to them as a body painter!). I wonder if you have any thoughts to pass on to writers like me who find themselves on the wrong continent for the vast majority of their potential readership, and the problems with overcoming certain cultural differences when it comes to those interactions? I stumbled at the first hurdle with one forum because over here there just aren’t any fantasy novels on sale with gay characters in them, and so wasn’t aware that in the US (at a level not really visible to me on the internet and with the cultural differences) that there is a whole sub-genre of fantasy with gay leads. I’ve since tried to find a way to link into the fan-bases which are out there, but the book side of things doesn’t seem to have a visibility of its own, and I can only presume that they come as sub-sections in web forums which are about LGBT in general – and although I have gay friends, I’m not gay myself, so I’m not fitting into those discussions. I can’t be the only writer who hits this kind of block to forming a read base. Writers in Australi/NZ must hit the same problems when trying to reach Europe and the US. We all read the same big authors, but get down a level and things can suddenly start looking very different! Go to the London Book Fair. Went to the 2017 one last week and met a lot of authors (indie and traditionals), staff of traditional publishers such as Harper Collins, typesetters and other such service providers to authors and publishers. There were some amazing talks too, including a handy one that included Joanna Penn and another with agents. Thank you for the content – and taking the time to produce this. 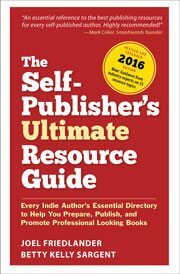 You’ve neatly linked the elements to creating a solid author platform. I was able to see where I am on track – and where I need to go next or how to improve what is. With book 3 due out in June, I am on the verge of doing more in this area. it’s been 4 years with a blog, 2 books out in 2 years and steadily producing blogs and chatting with readers (and other writers) on social media. You are right. It takes time, but I can see progress. Slow, steady and creative moves us forward. “Slow, steady and creative moves us forward.” Well said, Mahrie. Often when we encounter “successful” writers, we only see a little of the effort and a lot of the reward. But in almost every case of success, there is this long, slow grind of small wins and confidence-shaking failures before we finally hit a tipping point. I’ve heard it described in terms of an iceberg, where acclaim and celebrity are only the tip you can see above the water, and the massive amount of work, energy and determination to get there, all lie below the surface (the part we don’t see). My problem is that my book is very unique. It is called Taking Into Account the Extraordinary. It is about extraordinary science. It has the potential of being a best seller. It is about real science. I have sent copies of it to physics professors at universities. At the same time it is accessible to the scientific-minded layperson. If you could please read my book I would happily pay for your advise. I am also a Buddhist monk who has practiced mindfulness meditation for 50 years. If you want to learn more about me, please read my book The Path of Love. I have a great deal of expertise in this are. If you’re interested in receiving more specific advice from me regarding your book Ronald, here is a link to one-on-one consulting and other services I offer: http://www.yourwriterplatform.com/work/. Kimberley, it isn’t lost on me the amount of time and effort going into a post the volume of this one. Thanks so much for your willingness to share forward your expertise and advice. I’ve saved this post to Evernote with reminders every 4-5 days to work on one challenge until all five have been studied and learned for effective use in my writing life. I’ll let you know how it goes. Of course, it is to my advantage I’m on a bit of a medical leave which keeps me from writing so I’ve got some extra time. And it’s an excellent idea to tackle this one challenge at a time. I’d love to hear how it goes for you, so feel free to share it here or shoot me an email. Very good post. Love how thorough each topic was covered and the additional resource(s) links after every challenge/solution. Extremely helpful. This is fantastic advice. I wish I found this when I was starting out. It’s like one stop-shopping. Even now there’s stuff I hadn’t read or thought of. Thanks for sharing. Now that you’re no longer a “novice”, what are you finding to be your biggest roadblocks? And what are you doing now that is working exceptionally well for building your visibility and getting your books into the hands of readers? Hi, Kimberly: I am so reluctant to comment. Were I a new indie author I would read the post and melt. I only have three years of indie authorship. I network with another 50 or so authors, if not daily, then weekly and I don’t know of a single author who can or will do all that the blog suggests. It takes at least a year to master the basics i.e learning how to compose call-to-action Tweets and how to engage Hootsuite and Roundteam. How to build an organic readership and gather organic reviews. Promotion is key and few indie authors know how to choose a promoter, or set goals for their books. However, I am in wholehearted agreement with the comment concerning authors who say they are broke and cannot afford, editors, or promotion. My response is: Why lie? Many do not WANT to afford the expense of indie authorship. They don’t and they won’t. But golly, they go on fabulous holidays. I do appreciate the opportunity to comment. Thank you for that. Thanks for sharing your thoughts, Jackie. There is a LOT that is required of authors these days, and although it seems overwhelming, I do think some authors are selling themselves short when it comes to what they are truly capable of. And this post – out of necessity – generalizes many options for authors, not the “only” option. Each author must test and experiment with what works for them, find efficiencies, and determine what path will lead them to meet their own personal goals and objectives. What I’ve outlined above is just the foundation. This post is a huge gift to writers–remarkably generous of you. Thank you.